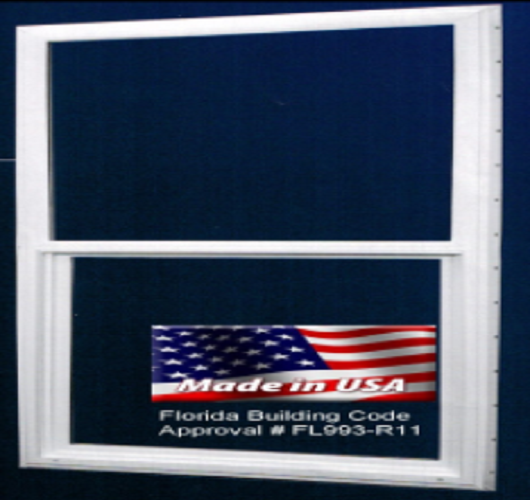 DMI offers Single Hung and Horizontal slider vinyl windows with Florida Building Code approvals. Design elements include, Frame and sah corners are welded for added strength and water tight corners, reinforcement bars in the meet rails provide strength and sash can be removed for easy clearing. 3/4″ insulating glass and vinyl construction provide high thermal performance. DMI can manufacture custom sizes and styles with a very low order minimum of 2 weeks. 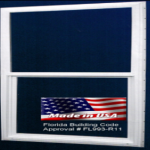 Vinyl windows curently ship from our distributors or our Midwest service center in Indiana. 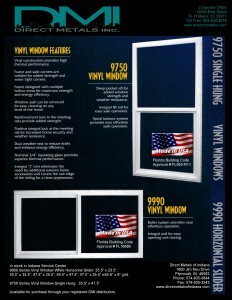 All Vinyl Windows are Made in the U.S.A.